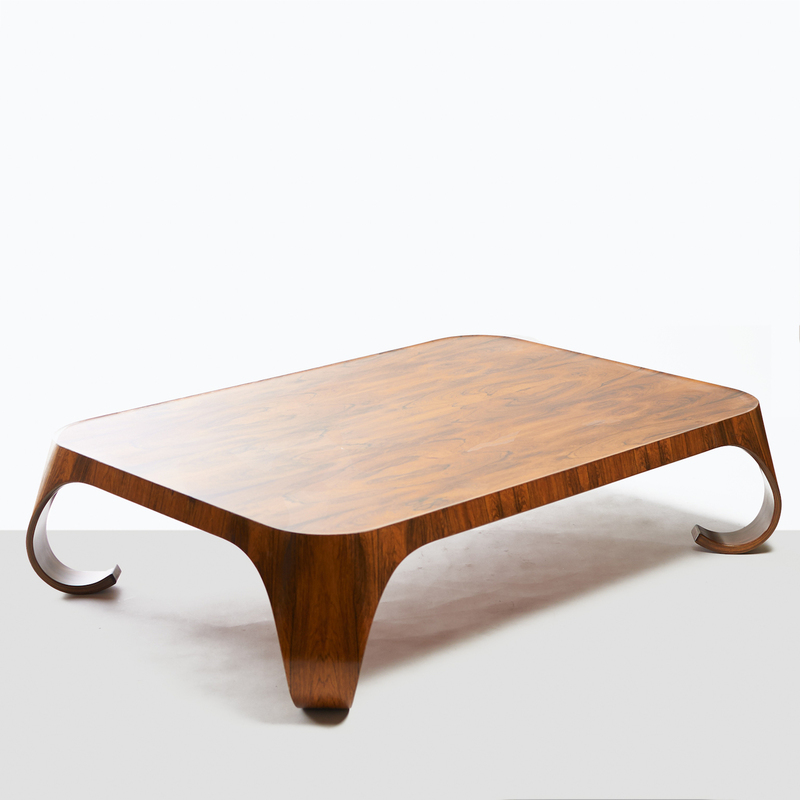 Isamu Kenmochi Coffee Table for Tendo. 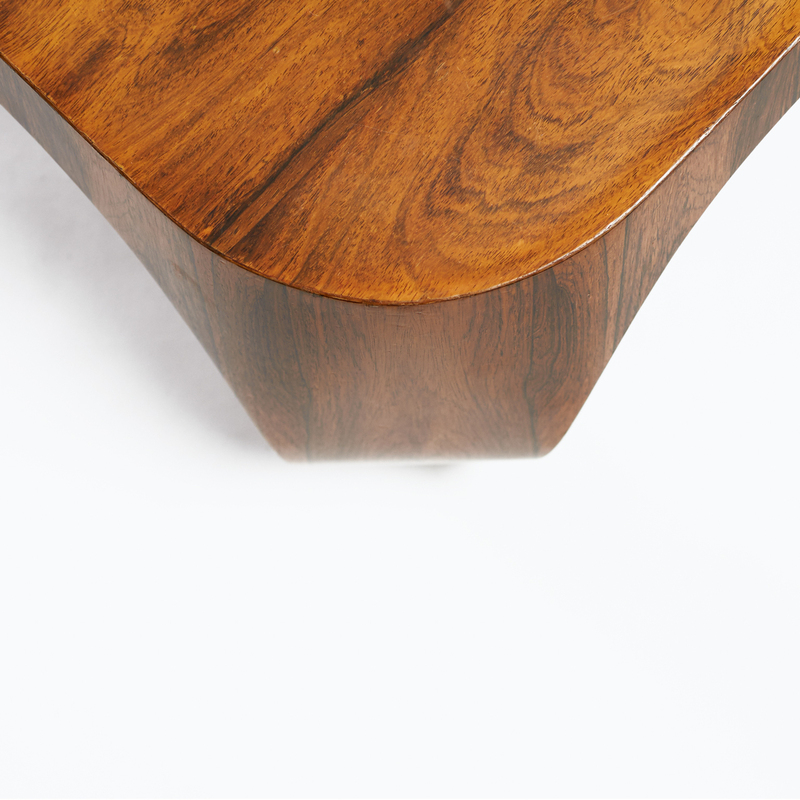 A coffee table by Isamu Kenmochi in bent Brazilian rosewood with curved legs. 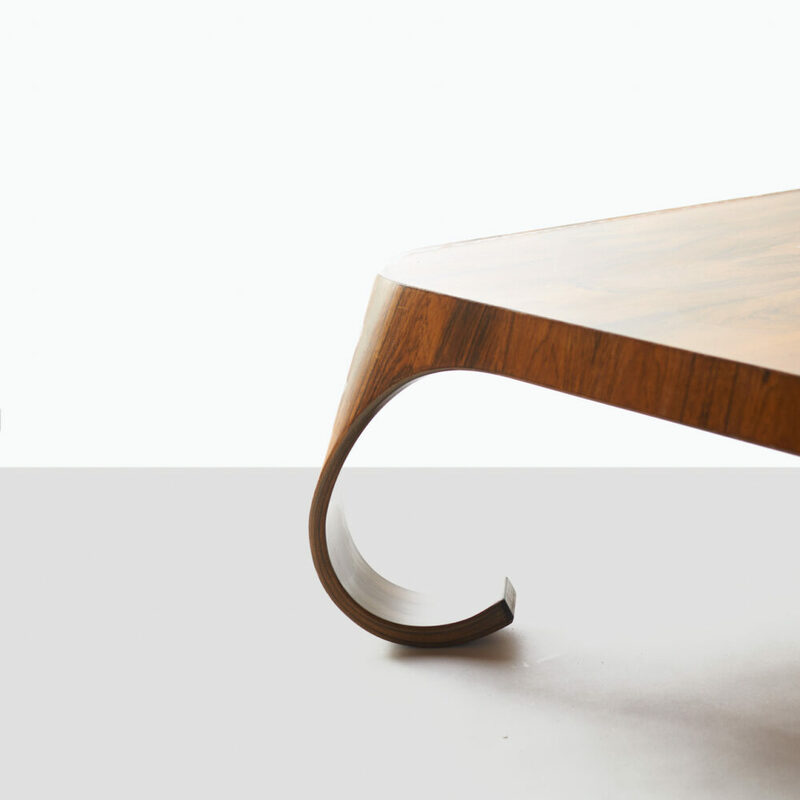 Signed with applied manufacturer’s label to underside: [Tendo]. Literature: Japanese Modern, Mori, pg. 143.